When a young waiter said this, and smiled as he watched me install a wall of my upcycled plates at the café where he was working, I knew I had achieved what I set out to do. On a mission to create the best dressed walls in town, my work with vintage plates is a ‘second life’ career for me - and incredibly exciting at that. I source vintage plates from all around the UK and transform them into decorative pieces with a contemporary twist. By combining wit, satire and style, the juxtaposition of my quirky imagery within the framework of the classic design of the original plate creates engaging, alternative - and affordable - wall art. Every plate/plate set I transform is a one off – I repeat designs but never with the same plates. 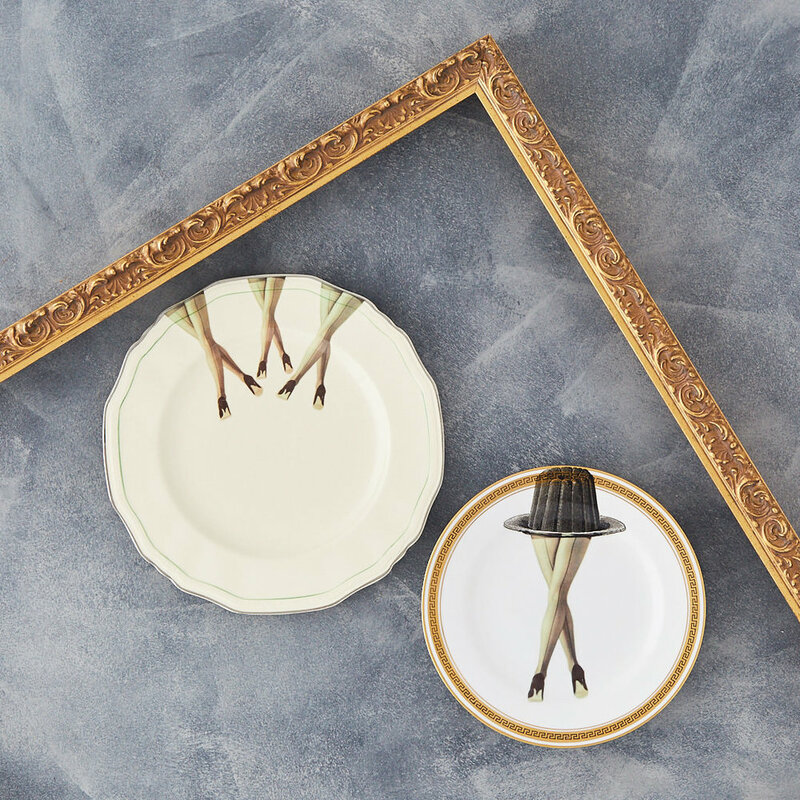 Inspired by Pop Art, collage and general quirkiness, the unique context and frame of each vintage plate presents a new excitement and challenge every time. I’m humbled and flattered that within a year of launching, I was commissioned to make plates for the restaurant walls of a new hotel styled by Ted Baker (as well as for Ted himself). Soon after, I was commissioned by The Artist Residence to dress a wall in the Cambridge Street Café in their hotel in Pimlico and more recently, I was invited to be ‘Artist in Residence’ at The Exhibitionist Hotel in South Kensington – transforming the lobby, bar and restaurant walls with 130 of my plates!. I love art and design that makes me smile. Variously described as the ‘Queen of Ceramic Quirk’ and ‘something of a secret Banksy of the vintage plate world’, I hope my work makes you smile too.